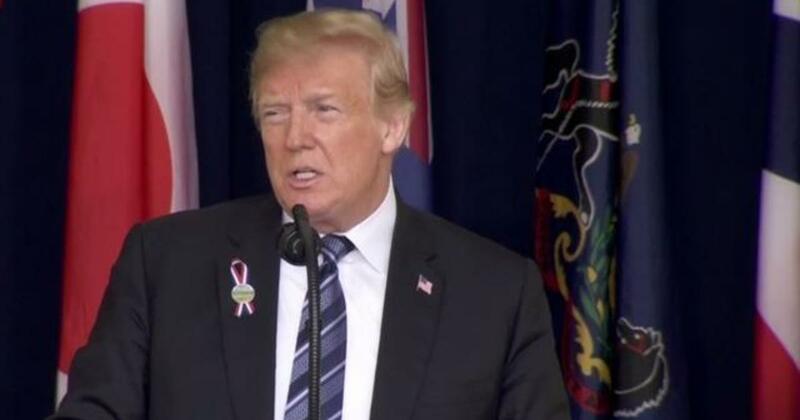 President Trump marked the 17th anniversary of the Sept. 11, 2001, terrorist attacks on American soil by remembering the victims and heroes of Flight 93 in Shanksville, Pennsylvania. 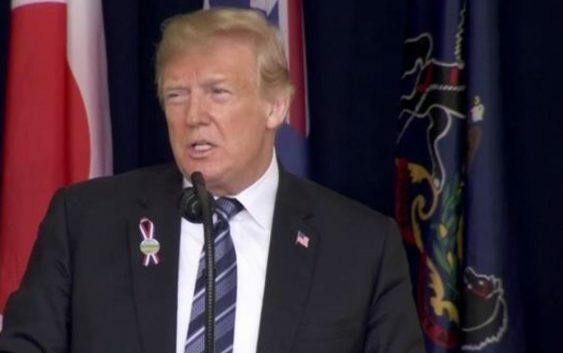 “Today, we mourn their loss, we share their story, and we commemorate their incredible valor,” Mr. Trump said Tuesday of the Americans who died on that fateful flight 17 years ago. “Your tears are not shed alone, for they are shared grief with an entire nation,” the president added. An open field in the rural area of Pennsylvania was the final resting place for passengers aboard United Airlines Flight 93 that September morning after three planes had already been flown into the World Trade Center in New York and the Pentagon in Arlington, Virginia. Passengers and crew stormed the cockpit after realizing their plane was being used in the next attack. It crashed in the open area killing all on board. A new monument added to the 2,200-acre memorial in honor of the heroes aboard that flight was dedicated on Sunday. Mr. Trump largely stuck to his prepared remarks Tuesday, although earlier in the day he blasted the Justice Department and Russia probe in tweets.